In early summer, ‘Abraham Darby’ bears large, deeply cupped blooms in shades of pink, apricot and yellow and, in spite of their size, they continue to be produced for the remainder of the season. They have a rich, fruity fragrance with a refreshing sharpness. 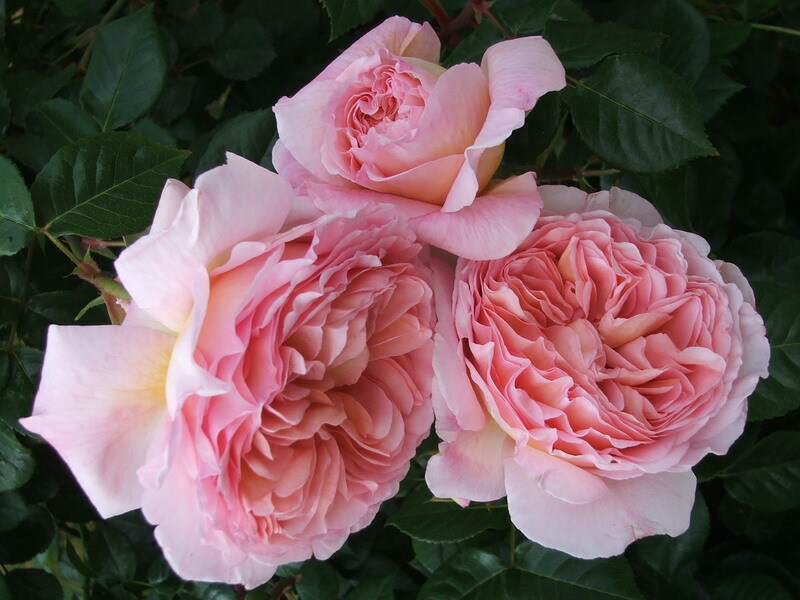 ‘Abraham Darby’ is an excellent, vigorous, medium-sized shrub. It has a bushy, arching habit and large, polished, rather modern leaves; flower, growth and leaf are all in proportion and never clumsy.